The visual arts curriculum involves activities and that involve students in the act of making art and activities that involve the students in admiring and responding to art. Whether in two dimensional or three dimensional forms, we explore the many facets of aesthetic enjoyment! The Good Hope Country Day Art Department has two overall learning goals for all art students: being able to: make art, and respond thoughtfully to art. 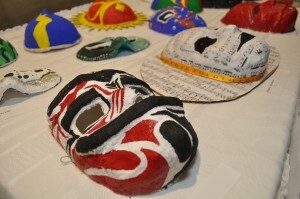 In order to facilitate the art-making process, students develop a repertoire of skills for visual perception, as well as cognitive, intuitive and expressive artistic responses. To promote critical and aesthetic inquiry, students investigate art in different contexts ranging from the personal to the cultural – including: relevant personal and social issues, interdisciplinary scholastic concerns, contemporary visual culture and environmental and historical contexts. Students should expect to have fun making, thinking, speaking and writing about the visual arts. Art classes in the Primary Grades (1 – 3) are focused on exposure to different mediums such as pencil, colored pencil, markers, watercolors, acrylic paint, tempera paint, collage, paper mache and air dry clay through teacher demonstration and practice. Throughout the courses, children focus on subjects and materials of interest to them personally as well as developing an awareness of art elements, craftsmanship, pride in work and skill development. A strong effort is made to integrate work from other subject areas, with the goal of enriching the overall learning experience. Work created is stored in portfolios which go home at the end of the school year. 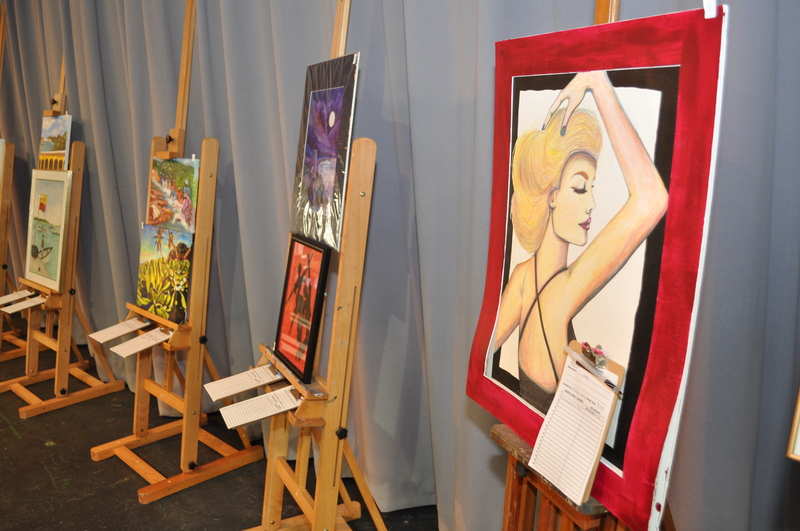 The annual student art show showcases one to three pieces of art per student. Teacher-directed art problems become more prevalent as the children advance in grade-level, with more specific techniques being demonstrated and practiced. Intermediate (4-6) Classes are more formalized as concepts are introduced and guideline provide a combination of Expressive, Formalist and Issues-Based Problems within a Discipline-Based Art Education framework. In each class section, all students draw, paint and work with air dry clay and 3-D materials as well as studying art appreciation through digital exhibits, discussion, reading and working. Interdisciplinary studies include science, ecology, language arts and social studies. In addition, computer graphics is introduced in 4th and practiced in 5th and 6th. It is the goal of the art department that each student should find enjoyment in the pursuit of their artistic endeavors. The focus of Lower School Art is on aesthetics, balance and creativity – the ABCs of Art! Throughout the year children develop an appreciation for diverse art forms, work to respect individual and group needs and use their creativity as a hands-on approach to problem solving. They choose from many different activities that are introduced sequentially and developmentally. Each student keeps a portfolio of his or her work. Specific pieces are chosen from the portfolio for the annual Spring Art Show. Art One is a drawing /color course, which is designed to increase the student’s drawing ability and understanding of color theory. Students learn technique in pencil, color pencil, charcoal, pastels, watercolor, pen and ink. They study realism, design components, abstraction, and perspective. In textile classes students learn the basics in fashion design, learn basic sewing skills and surface design skills. Students explore embroidery, beading, pattern-making, tie-dye design and printmaking. Upper School Art History is a yearlong course designed to acquaint students with pre-historic artifacts and trace the routes of the arts of civilization based on evidence available through paintings, clay utensils, sculpture, and architecture. This survey course incorporates Paleolithic times to the present and pays special attention to the Art History of the Virgin Islands. The visual arts departments has a spring exhibition of outstanding student work. 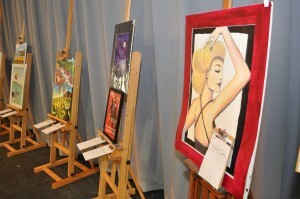 The artists also enter many local and nationwide contests.